Crunch. You wince in pain and take a long, deep breath before removing the Lego brick that has become embedded in the sole of your foot. This is not the first time this has happened. And if you don’t do something about it soon, it won’t be the last. 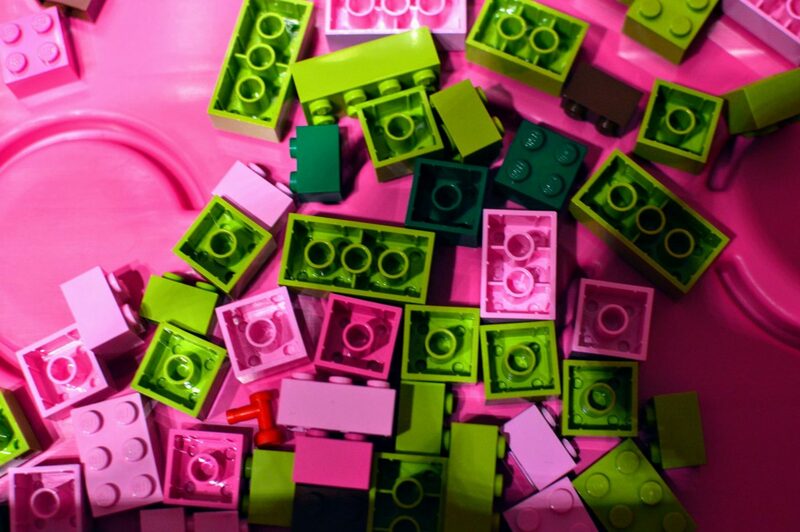 Is your home becoming overrun by your children’s toys? 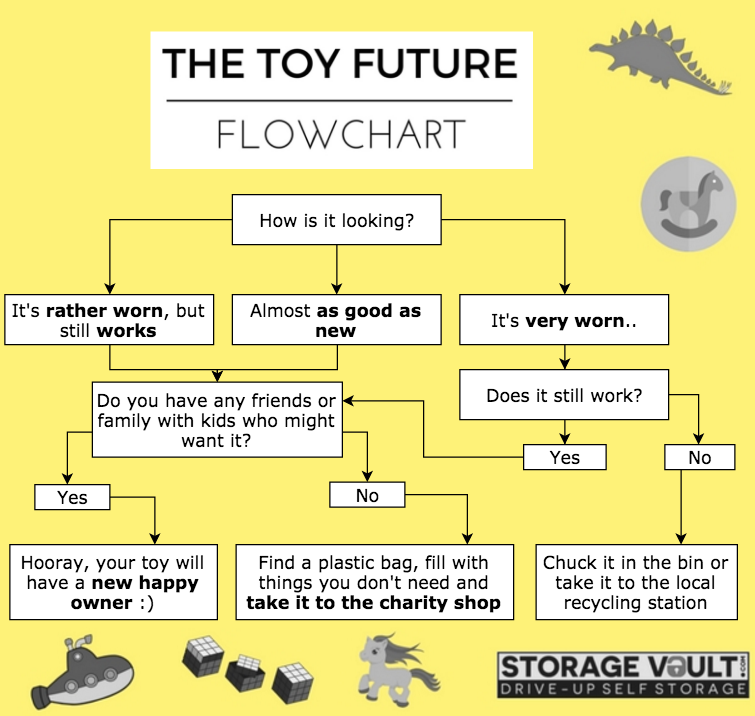 If so, follow this toy decluttering guide from Carol and reclaim your home from its current status as a glorified toy chest! As much as you may like to think they do, toys do not breed themselves! They must be bought or gifted. So the simple solution to prevent toy clutter? Stop buying so many! Parents love to adorn their children with toys for a number of reasons, so maybe it’s time to take a step back and ask yourself why you buy them in the first place. Do you impulse buy because you feel guilty if you don’t? Are you scared of your children being left out by their peers? Realistically, your child is not going to be able to play with every toy they own on a regular basis, so whilst you or your child may get a nice warm feeling when you buy them something new, it’s likely to be short-lived. Commit to encouraging your children to play with their existing toys, allowing them to develop creativity, resourcefulness and gratitude! Once you’ve stopped buying extra toys, where do you begin downsizing the existing collection? Don’t get wound up trying to tackle it all in one go. Break the project down into categories, decluttering the toys in sections. In one session look at bath toys. The next, books. Then tackle action figures. It’ll make the job much more manageable! Seeing everything in one category all laid out in front of you will ease the decluttering process because you can easily see how many duplicate or similar items you have! We recommend recruiting your child to help. Make them feel like they have an important job to do and they’ll be more likely to cooperate! Gather 3 boxes and organise the toys into each box: regularly use, occasionally used, and never used. For each toy, think about its condition, its function, its age-appropriateness, and the use your child gets out of it. Pop each toy in a box accordingly. Donate the ‘never used’ box to charity or a friend’s child, binning toys where appropriate. Hide the ‘occasionally used’ box away and only retrieve toys from it as and when your child asks for them. If they don’t ask for any toys out of it for a few weeks, donate this box too. Through this whole process, you might’ve worried that your child was unwilling to give up toys, but what if you have a soft spot for some of them? Whatever the memories you have attached to some toys, it can be difficult to let them go. The good news is that you can still declutter without having to part with these toys forever. Set aside a small box of some key toys your child no longer uses but you attach a lot of sentimental value to. Keep it in storage, whether it be your loft, basement, or a self-storage unit. The process has been arduous and you don’t want the clutter to creep back into your home. Set some ground rules and establish specific toy storage areas, rather than your home becoming a free-for-all again. Under-bed, over-the-door, wall hammocks, or sets of drawers and boxes – get creative with your storage solutions and make sure your kid cleans up after themselves! This declutter will not be the last you ever embark on, but make sure that you don’t let future projects become so intense by purging often. Whenever Christmas or a birthday rolls around, do a mini-declutter. Little and often is the way to go when it comes to on-going toy decluttering.